Sevamritam – Students diligently brought a handful of rice every Tuesday. A special mention to classes VI-A, VI-B, IX-A and X-A for their generous contribution of rice. ‘Sealing of Desires’- Every bit counts. Students of classes VI-A, VI-C and VII-B have consistently contributed to this project. A special mention to Class IV-A which has shown how young minds can be tuned towards caring for others. 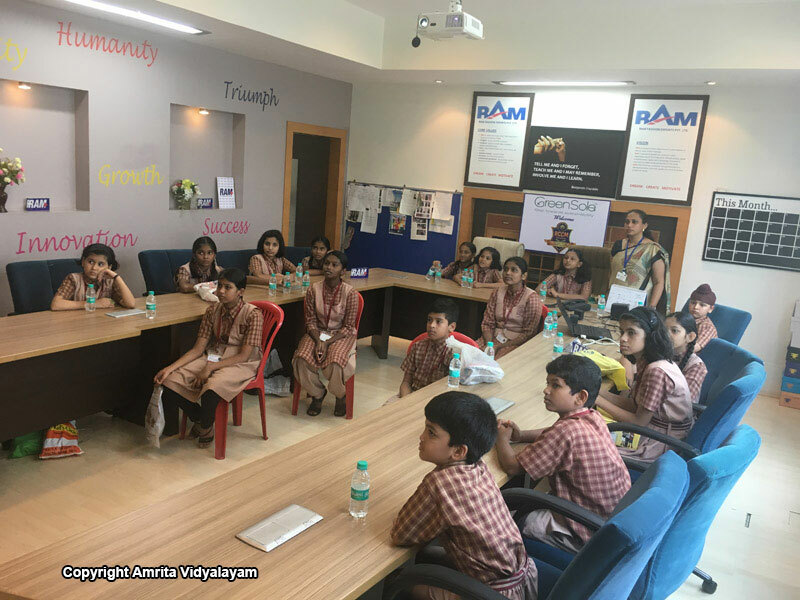 The class contributed Rs.425 this month with some students contributing consistently. The money collected will be used towards purchasing home essentials for the adopted families. Wealth from Waste – Cloth bags were stitched by students of classes VI and VII, with a total of 8 bags being stitched in the month of August. A special mention to students of Class VII-B who stitched 12 out of the 24 bags stitched so far over the past 3 months. Bhootayajnam – Students from pre-primary to Std. II brought grains like rice, millet, jawar, etc. to feed birds. As they were tuned to this last year, they do not need to be reminded to bring the grains. 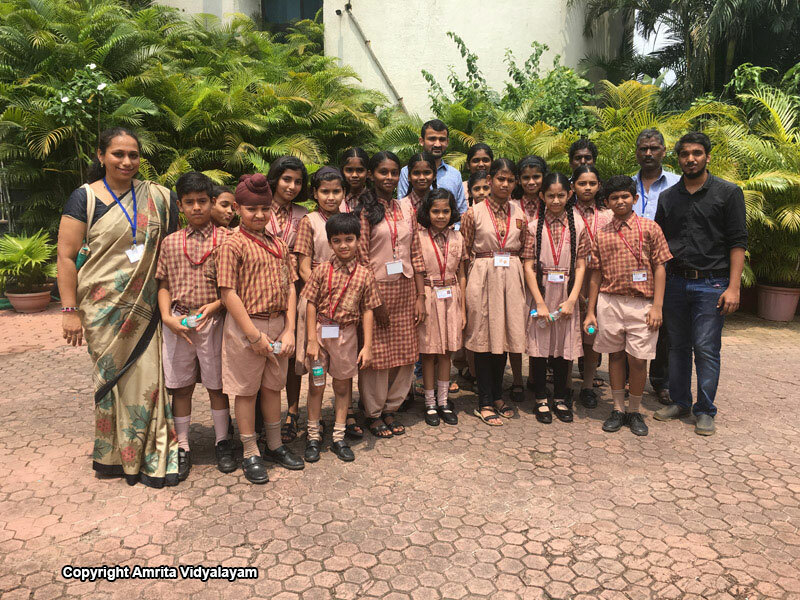 Grihamritam – Students from classes V to X donated school shoes and sports shoes which were handed over to an organization called “Green Soles”. 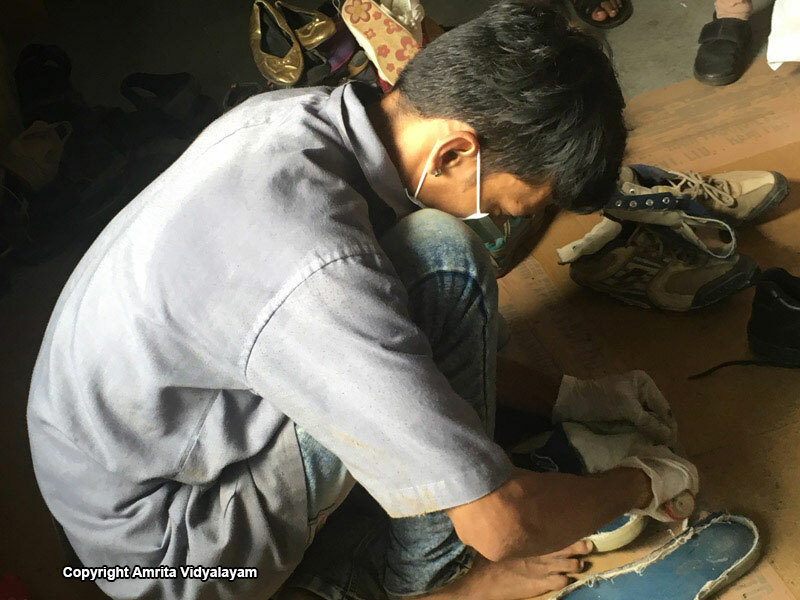 This organization refurbishes these shoes and distributes it to villages where students walk barefoot for miles. 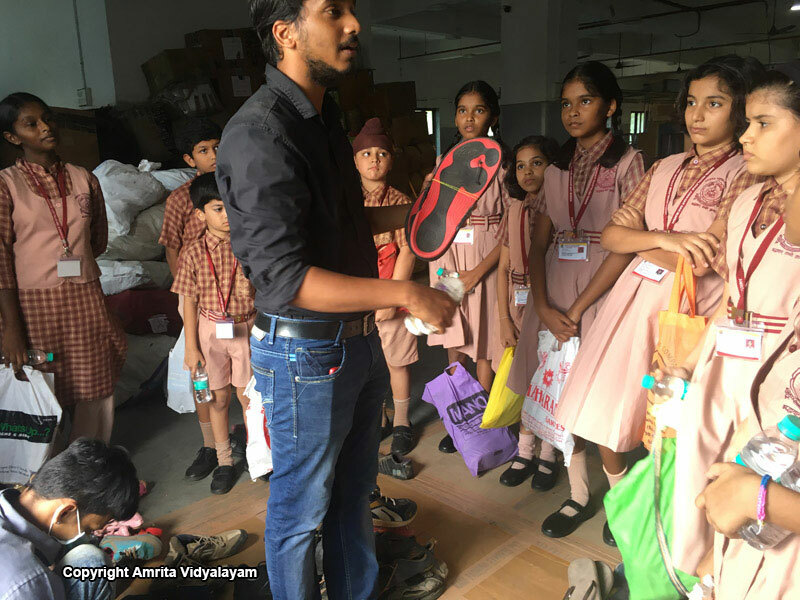 Students visited the factory outlet to get first-hand knowledge about how the donated shoes are cleaned and each part used to make sandals. Student volunteers also went around to each class to share their experience. Snehamritam- The contribution on birthdays hit a century this month with over 100 students donating rice, clothes, plants, toys and stationery on their birthdays.